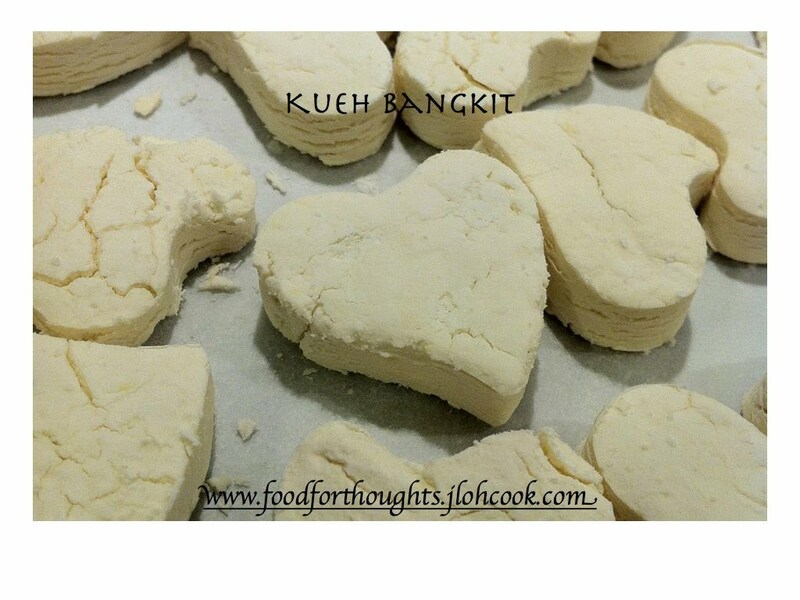 Adapted from Hot Favourites Kueh published by e-lifestyle. I finally made Kueh Bangkit that tasted like how my mom made it. The strong taste of coconut melts in your mouth, not too sweet, but sweet enough from the coconut. I've experimented before and those turned out to be hard, and you literally have to chew, and there's just not enough coconut taste. It's been difficult to find fresh coconut milk, and I've just resorted to using packet ones. Checked the ingredients, the highest % of coconut milk is 90%, and 10% water. And this cookie just don't like water at all. 2. If use coconut milk from packet, boil with pandan leave. 2. Next, heat up coconut milk (I used the full packet of 400 ml) with 5 pieces of pandan leave (tied in knot), and let boil. Boil for 30 minutes in slow fire. The milk should thicken. Stir well to prevent from sticking. Once you see that it is thick, trickles down slowly, that will do. It will become half about 200 ml. The smell of the coconut milk will also be strong, floods the kitchen. leave to cool. Discard the pandan leave after cooled. 3. Beat eggs together first till it turns whiter and lighter, add sugar and whip till foamy. It will also thicken. Using an electric whip, it took me about 20 minutes to get it foamy and thick. 4, Add 85 ml coconut milk to the eggs & sugar, whip till well mixed. 5. Sift the cooled tapioca starch to the mixture (keep a portion of the tapioca starch aside to cloud the biscuit cutter). Sieve the flour properly as there will be pandan leaves that might have broken off. Slowly stir and fold the mixture. Bring out and knead the dough. 6. The dough seems a little hard at first, add some coconut milk, 1 tsp at a time. and knead. what I did was to knead portion by portion of the dough, add coconut milk when needed if the dough is too dry. 7. Roll the dough at 0.3cm, use a biscuit cutter. ensure that you flour well before using. The dough easily breaks, so, handle with care, gently. 8. Place on lined baking tray, bake at 160 degrees celsius for 15 minutes. Put on the middle tray of oven. 9. Leave completely cool before removing from baking tray and store in air tight containers. Here's my Kueh Bangkit, I believe I've tried like 3-4 times, it didn't quite turn out as expected. This time, it worked, I just need to get it smoother, probably can add a little more coconut milk to smoothen the texture. 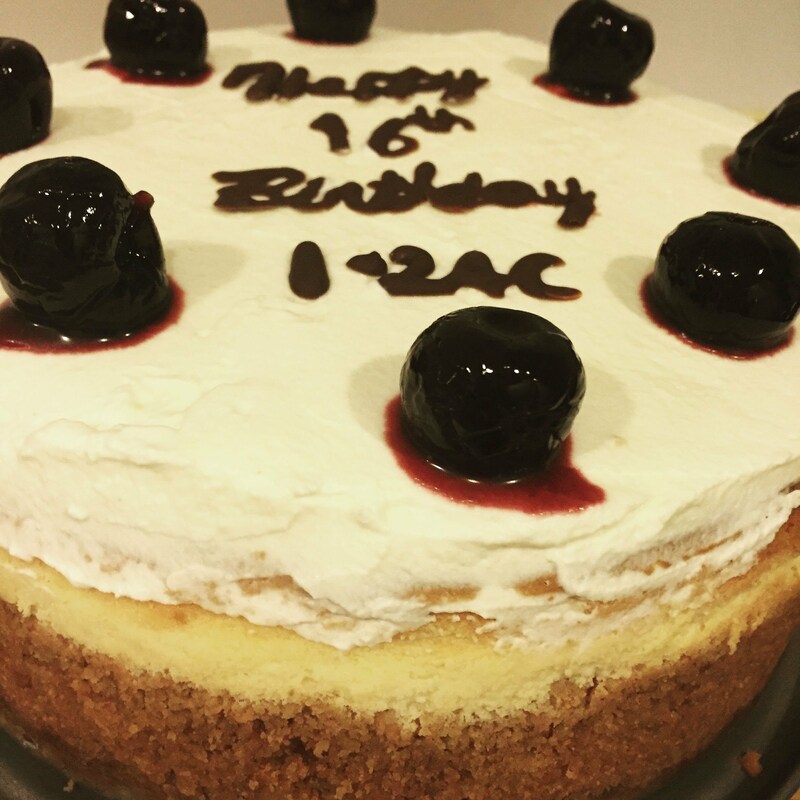 The learnings here is patience, let the tapioca flour cool completely. spend time to stir fry the tapioca flour.